This software offers a solution to users who want to set a specific time range for computer use. The user enters a chosen username and password and sets the exact start time and end time. The computer will then be locked at all times outside of this range. This software can be useful for parents wishing to limit computer use for children or even for business computers that should not be used out of hours. 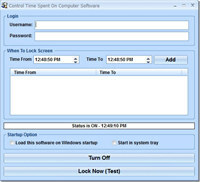 Control Time Spent On Computer Software is a business program that works under windows xp, windows vista, . Estimated download time for Control Time Spent On Computer Software on a common adsl connection is less than a minute. 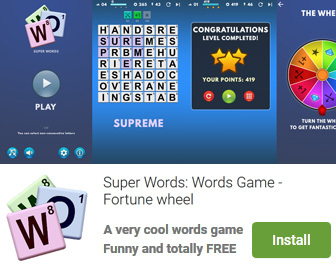 Version 7.0 was released three thousand five hundred forty seven days ago by Sobolsoft. Click the green download button to download it now.